Are you looking for the latest textbooks or teaching resources to engage students? 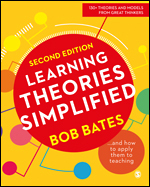 Are you in search of recommended pre-course reading material or additional support for your education or teacher training course? This Hub is packed with free book chapters, special features and guides for students on all education courses covering teacher training, Education Studies to Early Years, Education Research Methods and Special Needs. We hope they are useful starting points or provide you that additoinal support to go further! "The critical perspective questions at the end of each section is thought provoking for students." Meet this year's most inspiring book in Education! 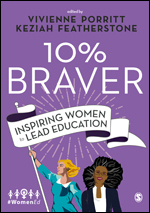 "Guaranteed to inspire, to educate and to spark a much-needed clamour for women to assume roles of influence throughout our education system." Share this free e-guide with your prospective teacher training students. Learn more about mental health and wellbeing with these free resources. PGCE student, Natalie, shares her experiences of teacher training. Download this free guide, packed full of resources for newly qualified teachers. Read this blogpost on 5 ways you can use Pinterest to benefit you as a teacher. Check out our free teacher training survival toolkit to support new trainees starting out. 299 Results Found for "/product/C60"